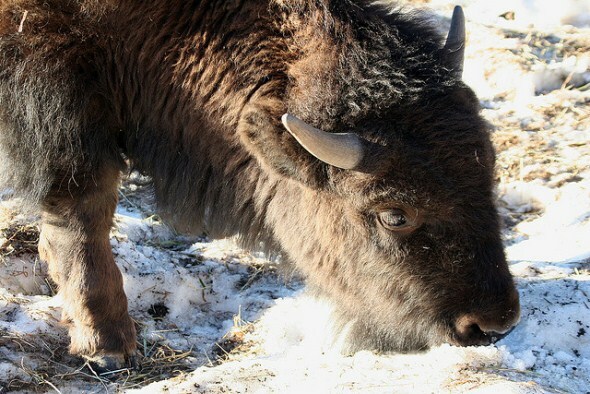 The Buffalo Herd Nature Preserve has a herd of two dozen bison in a pasture in Denver’s oldest mountain park. See them Interstate 70. 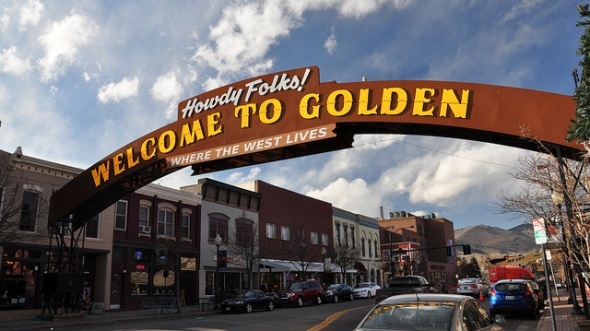 Golden sits at the base of the foothills west of Denver and features the Colorado School of Mines, the Coors brewery, historic buildings and railroad and mountaineering museums. 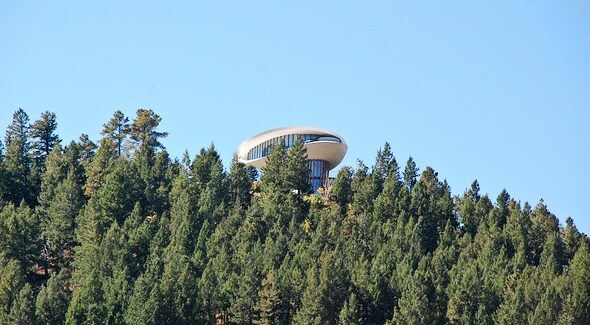 The Lookout Mountain Nature Center and Preserve houses interactive exhibits about the ecology of the region and demonstrates sustainable building materials and design. Outside are breathtaking overlooks, easy and challenging trails. 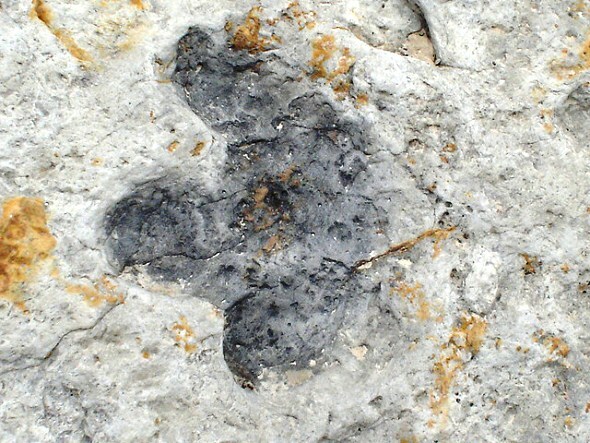 Dinosaur Ridge is the site of one of the world’s earliest major dinosaur discoveries – the first bones of an enormous, plant-eating dinosaur that would be called the Apatosaurus. 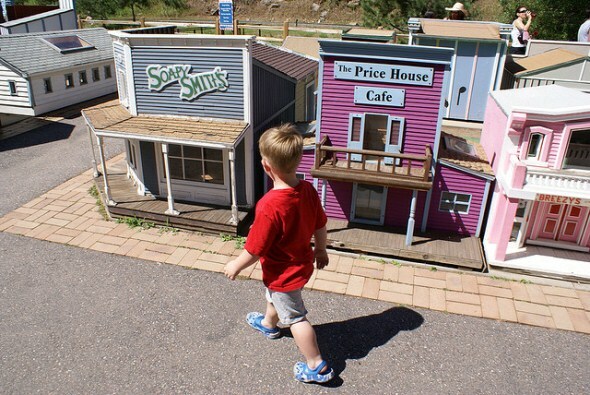 Tiny Town & Railroad features 90 child-size buildings and miniature trains in the foothills west of Denver. It is open summer weekends. 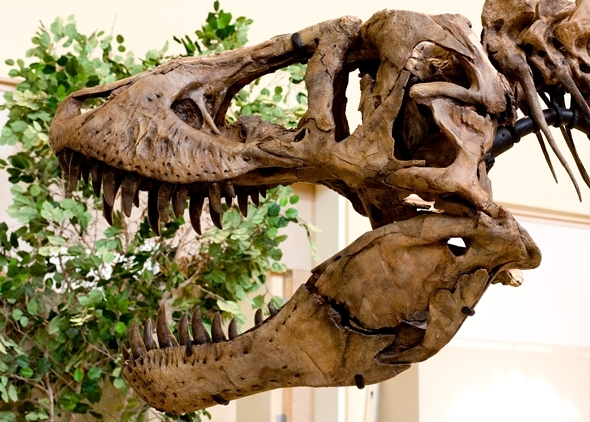 The first known specimen of Tyrannosaurus rex was a 3.5-inch, banana-shaped tooth that Golden schoolteacher Arthur Lakes found on South Table Mountain near Golden. 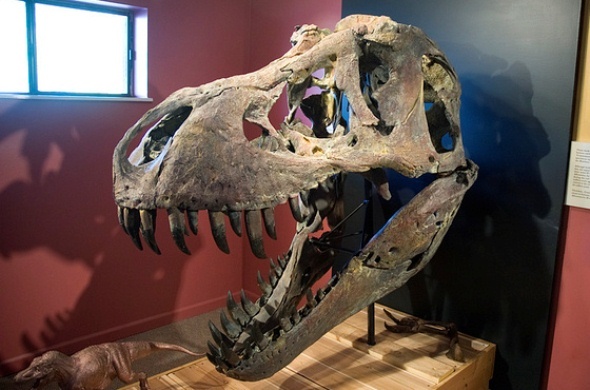 Bones from a Stegosaurus were found near Morrison in 1877 by Golden schoolteacher Arthur Lakes. Today, the Stegosaurus is Colorado’s State Fossil. 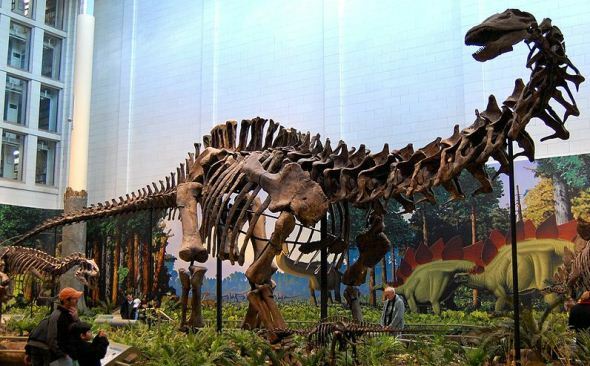 The first bones of an Apatosaurus, a gigantic, plant-eating dinosaur, were found by Golden schoolteacher Arthur Lakes in the Morrison Formation near the town of Morrison in 1877.